This past summer, we conducted a study to see just how aware Boston area small business owners are of their overall insurance coverage. This was the first study of its kind; we call it the Cleary Small Business Risk Index. The Index shows that more than half (55%) of Boston area businesses failed a risk assessment that probed 19 areas of risk management including cyber security, professional liability, employment practices and more. So what does this boil down to? The Boston-area wide survey (including businesses on the North Shore, South Shore and Metrowest) was conducted online questioning 100 business owners, operators and employees spanning a variety of industries including healthcare, retail, financial services, and more. All respondents had a significant influence on the operational decisions of each company. Could you pass? Take the Cleary Small Business Risk Assessment today to test your understanding of coverage. Also, check back for the next few posts which outline and answer some of the greatest areas for risk. We want to make you aware of an important law that will impact Massachusetts-based employers beginning January 1, 2018. Under a law signed recently by Governor Baker, employers with six or more employees will begin paying a new health care assessment to support the Commonwealth’s Medicaid program, MassHealth. It increases the existing Employer Medical Assistance Contribution (EMAC) from $51 per employee to $76.50 per employee. It establishes a new assessment on employers for any employee who enrolls in MassHealth or subsidized insurance coverage offered through the Massachusetts Health Connector. The assessment is $750 per employee, per year. Employers will most likely pay the assessment on a quarterly basis–just like they do for unemployment insurance. Employers who hire any worker for at least one day during any 13 weeks in a calendar year, and who pay at least $1,500 in wages per quarter, will be required to contribute. The Massachusetts Department of Unemployment Assistance and the Health Connector are still finalizing regulations to implement the assessment. The regulations are expected to be completed before the end of the year. The assessment is expected to generate $200 million annually; it is scheduled to end on December 31, 2019. Advisors may suggest to their clients that they never take a loan from their 401(k) plan, but things happen, and happen more often than you might think. According to Morningstar, at the end of 2012, 21% of 401(k) plan participates who were eligible had loans outstanding against their 401(k). 50% of people who borrow against their 401(k) will do so more than once. Does your intended use of funds promise a higher rate of return than leaving the money be? – Steering borrowed funds to an investment with an uncertain payoff is much less compelling than paying off high interest debt. – If you leave your employer with a loan outstanding, you will usually be forced to pay back the loan soon, usually within 90 days. Can you realistically pay this back? – Because there is no credit check, the client is the one responsible to deciding if the loan is financially viable. Make sure household budget is considered as interest will increase the payments. Are you prepared to lose the benefit of your tax deductions? 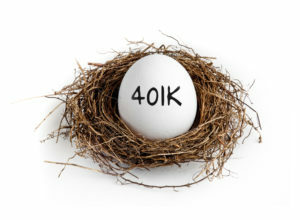 – A 401k provides an employee federal and state income tax deductions on contributions. If a loan is taken, it must be paid with after-tax dollars thus offsetting the benefit of the deductions. Do you feel like you can afford to delay your retirement saving? – Their budget may not be able to support the loan repayment and current 401(k) savings. Also, the money withdrawn does not have the opportunity to grow with the market. Have You Thought About Flood Insurance? http://www.clearyinsurance.com/wp-content/uploads/Cleary_Logo.jpg 0 0 Carol LaCombe http://www.clearyinsurance.com/wp-content/uploads/Cleary_Logo.jpg Carol LaCombe2017-11-02 11:21:112017-11-09 14:30:47Have You Thought About Flood Insurance? While all businesses should have a plan in place to protect their employees and their bottom line when a natural disaster hits, they should also consider their location and the insurance that is necessary to keep their doors open after a catastrophic event. Businesses should review their insurance plan to reduce out of pocket expenses. Make sure you have significant coverage to pay for the indirect costs of the disaster, disruption to your business and the cost to repair or rebuild your premises. Most policies do not cover flood or earthquake damage and you may need to buy separate insurance for these perils. Be sure you understand your policy deductibles and limits. New additions or improvements should also be reflected in your policy. This includes construction improvement to a property and the addition of new equipment. 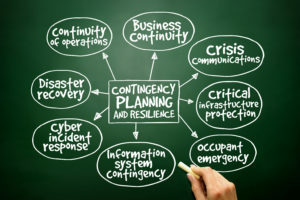 For a business, the costs of a disaster can extend beyond the physical damage to the premises, equipment, furniture and other business property. There’s the potential loss of income while the premises are unusable. Your policy should include business interruption insurance and extra expense insurance. Even if your basic policy covers expenses and loss of net business income, it may not cover income interruptions due to damage that occurs away from your premises, such as to your key customer or supplier or to your utility company. You can generally buy this additional coverage and add it to your existing policy. Building coverage provides coverage up to the insured value of the building if it is destroyed or damaged by wind/hail, or another covered cause of loss. This policy does not cover damage caused by a flood or storm surge nor does it cover losses due to earth movement, such as a landslide or earthquake, unless added by endorsement. Business personal property provides coverage for contents and business inventory damaged or destroyed by wind/hail, or another covered cause of loss. Tenants improvements and betterments provides coverage for fixtures, alterations, installations, or additions made as part of the building that the insured occupies but does not own, which are acquired and made at the insured’s expense. Additional property coverage provides for items such as fences, pools or awnings at the insured location. Coverage limits vary by type of additional property. 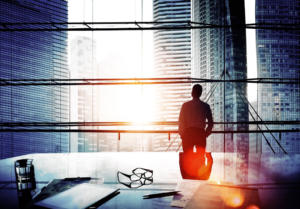 Business income provides coverage for lost revenue and normal operating expenses if the place of business becomes uninhabitable after a loss during the time repairs are being made. Extra expense provides coverage for the extra expenses incurred, such as temporary relocation or leasing of business equipment, to avoid or minimize the suspension of operations during the time that repairs are being completed to the normal place of business. Ordinance or law provides coverage to rebuild or repair the building in compliance with the most recent local building codes. http://www.clearyinsurance.com/wp-content/uploads/Cleary_Logo.jpg 0 0 Carol LaCombe http://www.clearyinsurance.com/wp-content/uploads/Cleary_Logo.jpg Carol LaCombe2017-11-02 10:44:532017-11-09 14:40:49Is Your Business Prepared for a Natural Disaster?